As I write this; (staring out the window in an attempt to find some inspiration) it is overcast, raining, and the wind is howling. Any leaves still left on the trees are clinging on for dear life. It’s very clear that Autumn is in full swing. To top it off, in the City of Toronto – we are bracing ourselves, for both the potential arrival of Hurricane Sandy and the inevitable arrival (sooner or later) of Old Man Winter. I’ve never been a huge fan of the cold weather, so it is somewhat ironic that I would chose to move to Canada; a country renowned for it’s colder-than-cold winters and heavy snow storms of apocalyptic proportions. I’ve been told (on more than one occasion) that despite what I may have heard elsewhere Canada does in fact have all four seasons: almost winter, winter, still winter and road construction (aka Summer). You gotta love the Canadian sense of humour, eh? I arrived in Canada last winter (early February) and it wasn’t all that bad. I think there was actually more snow on the ground on the day I left the UK than I saw for the entire winter here in Toronto, so surely it can’t be THAT bad, right? Right? Well…apparently not. I’ve been told on numerous occasions that I was really lucky; that my first winter in Canada was not a “real Canadian” winter, and that I’m in for a shock. 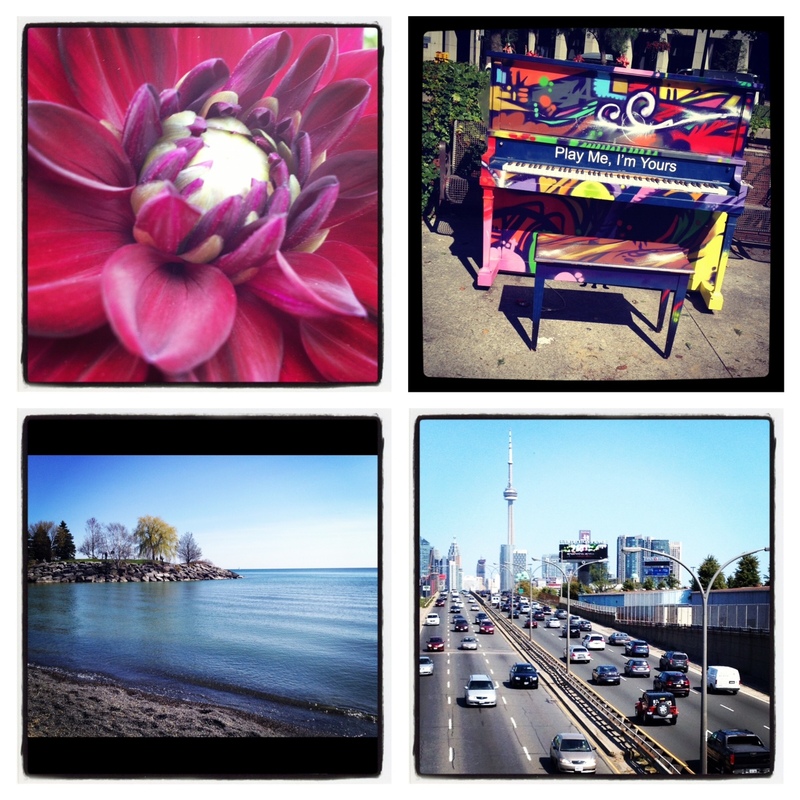 Until a few weeks ago, Toronto was a haven of activity, hustle and bustle and vibrant colours. There were numerous events, concerts, exhibitions, shows, long weekends, festivals galore and lots of waterfront activities to enjoy. Everywhere you looked, there was something going on, there was always something to do. Summertime is also patio season; probably one of my favourite experiences of this summer and not that dissimilar to the beer garden culture that we have in the UK. A Toronto patio is a great way to spend an afternoon (or two) sipping cocktails, chatting with friends, watching the world go by or all of the above. I spent a number of afternoons (and evenings) sat on one of the sky-high patios at Dundas Square soaking up the sun, and enjoying my new summer soundtrack (whichever concert happened to be playing that day) with a glass of wine and great friends. 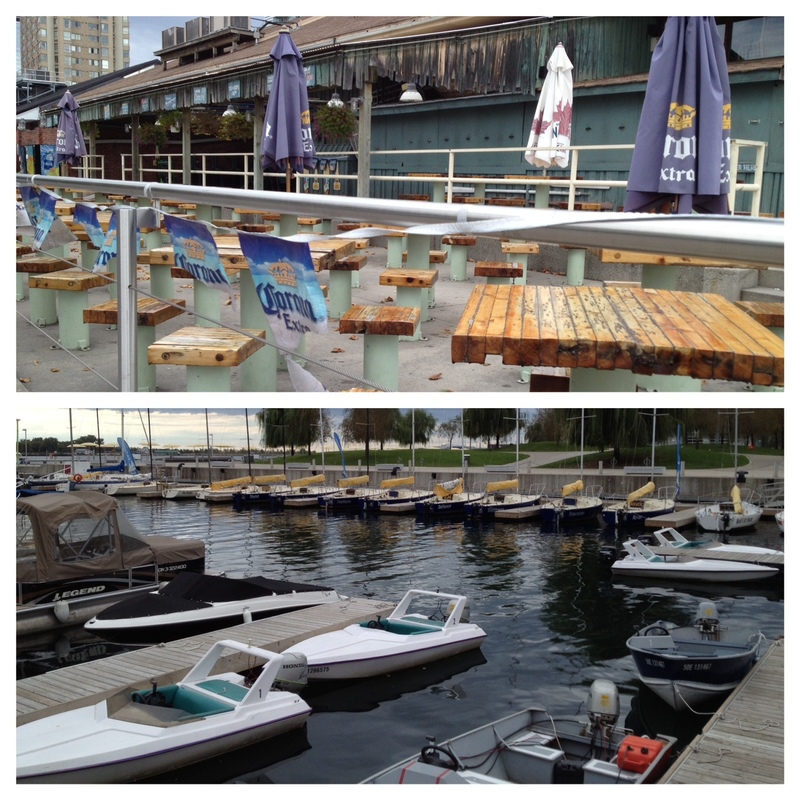 It feels strange walking along the waterfront now; this once buzzing hive of activity is now eerily quiet and still, seemingly abandoned – shut down for the winter. Autumn has brought with it changeable temperatures, trees adorned with leaves glowing red and gold, Thanksgiving (another first for me) and Halloween. I do like this time of year, but I am already missing the summer.